BMW India has added a new trim option for its petrol 5 Series range. 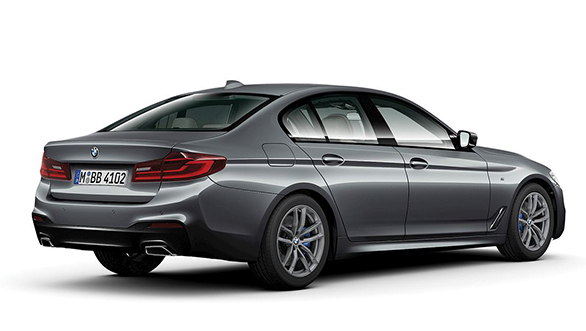 The BMW 530i can now be had with the M Sport package, alongside the SportLine trim already available. The M Sport package brings with it sporty additions to the car's exterior styling, a more focussed theme to the cabin and more features. The 530d already gets this package. 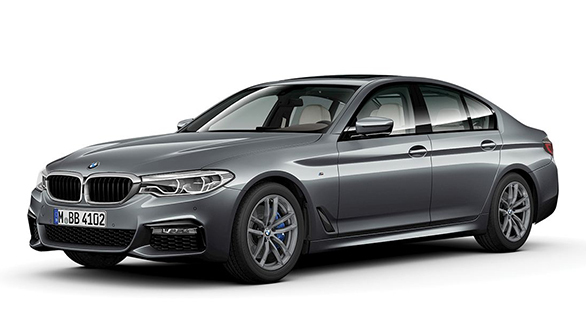 Changes to the outer appearance of the 5 Series include a more aggressive front bumper with a larger air-dam, a two-tone rear bumper with more prominent exhaust tips, side skirts, a new alloy wheel design and subtle M badges all around. Step inside and new are the aluminium meshed design on the dash, sports seats in dark leather and a more extravagant roof liner. The BMW Display Key, Remote Control Parking, Park Assistant Plus with 360-degree camera, Comfort Access System and wireless charging are all available features alongside the BMW iDrive infotainment setup. The BMW 530i M sport remains mechanically unchanged and come powered by a 2.0-litre four cylinder turbo petrol motor that makes 255PS at 5,200rpm and 350Nm at 1,450-4,800 rpm. The engine is mated to an eight-speed automatic transmission. Expect this variant to command a Rs 2 lakh premium over the SportLine trim, which costs Rs 53.8 lakh ex-showroom.